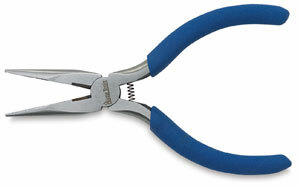 These 5" (13 cm) steel, spring-loaded long-nose pliers feature "teeth" and a blue rubber handle for easy gripping. 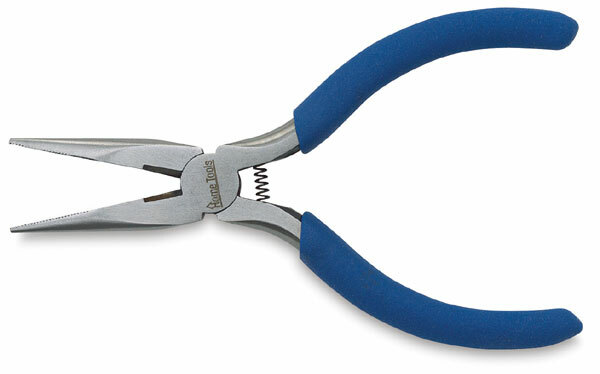 The 5" (13 cm) steel mini wire cutters have padded blue rubber handles. Both offer great quality at a value price. They are perfect for small jobs or beading. You'll find dozens of uses.